If you’re talking about landmark years for World Championship Wrestling then 1994 has to be right up at the top of the list alongside 1989, 1996 and maybe even 2000. As usual here in Kayfabe Commentaries‘ Timeline series, host Sean Oliver sits down with an interview subject and discusses the historic moments of a particular year. As you have more than likely gleamed thus far, this time it is the year 1994 with Eric Bischoff. 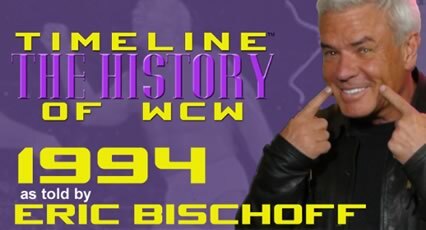 Eric Bischoff joined WCW in the summer of 1991, before taking on the role of Executive Producer in 1993 (in the wake of the Bill Watts resignation) and one year later in 1994 would later take on the role of Executive Vice President, so what better candidate to examine the year 1994 in World Championship Wrestling than the Exec. VP himself? 1994 was a big year for WCW, not only were they heading in a slightly different direction under the leadership of Eric Bischoff, but 1994 also welcomed Hulk Hogan, “Macho Man” Randy Savage, Gene Okerlund, Bobby Heenan, Jim Duggan, The Nasty Boys and a slew of other former WWE superstars and personalities. 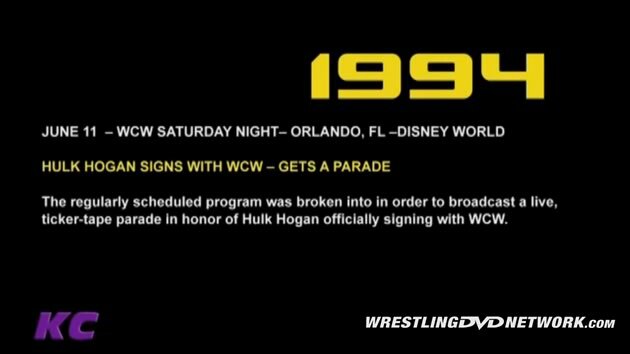 The year and the new talent signings also saw WCW break their PPV records with the WCW in-ring debut of Hulk Hogan at the Bash at the Beach PPV, plus an upgrade of WCW’s television production with their partnership with Disney-MGM studios as the taping location for their syndicated TV shows and also the production upgrades to their flagship show: WCW Saturday Night. However, those were the highs, but 1994 also had a number of lows including: Brutus Beefcake headlining Starrcade, Jim Duggan defeating Steve Austin in a matter of seconds and the career ending injury of Rick Rude. 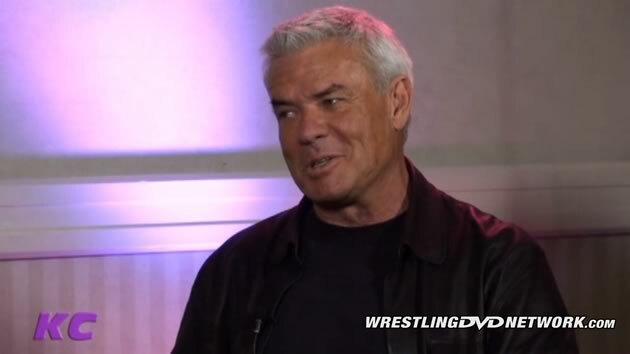 Throughout the more than two and a quarter hour interview Eric Bischoff discusses all of these topics, along with a whole bunch of others on top! In all honesty I expected this interview to fall a little flat as I envisioned Bischoff having no memory of the moments/topics being discussed; however on this occasion I was more than happy to be wrong as Eric had a very good recall of the moments which were discussed. The only topics Eric didn’t recall (or simply didn’t wish to discuss) were the specifics behind different superstars deals – particular those of Hulk Hogan and Randy Savage (however, host Sean Oliver seemed to have the complete lowdown on the deal that Hogan signed). All in all, this was a really fun watch and might possibly be one of the better Timeline interviews we’ve seen. For this reason it is very easy for me to recommend this one to you guys and girls. The Timeline series is my very favorite Kayfabe Commentaries series – I really hope we have another WWE one coming soon. We did find out recently that KC have a new series coming in November – chROHnology. This series will be hosted by Gabe Sapolsky and will look at the history of Ring of Honor, so it will be interesting to see that one come through the pipeline. Hell, I would even love to see a TNA Timeline series! “Timeline: The History of WCW – 1994” is available now over at KayfabeCommentaries.com. You can purchase a physical DVD copy or stream it instantly On Demand. There’s also a special Signature Edition of this DVD, which features some exclusive cover artwork (this time featuring a photograph of Hulk Hogan’s parade at Disney), along with a disc signed by Eric Bishoff himself. It’s limited to only 50 copies, so if you want one… GET ONE NOW! I’m glad to hear that this was an interesting interview. I am one of the few who does not hate Eric Bischoff and I actually quite like him. Yes he has made mistakes, but haven’t Vince McMahon, Paul Heyman, Fritz Von Erich and Jeff Jarrett? The Timeline is easily my favorite series from Kayfabe Commentaries. I read a WWE 1998 might be coming out, wonder who they will get for that…my guess is Jim Cornette again or possibly even Jim Ross. JR would be really cool. I’d like to see Jake Roberts get WWE 91. I really wouldn’t mind seeing Bischoff return for WCW 95, that’d be the first time anyone got 2 years, but for him it’d be fine IMO.